How Do I know It’s Time to Upgrade My Air Compressor? Your unit is operating more often. 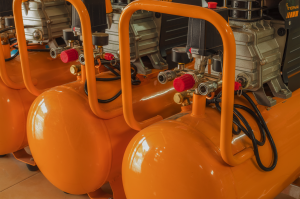 If you’ve noticed that your air compressor is running for longer periods of time and more often than before, it probably means that it’s working overtime to accommodate for your business’s needs. A larger unit will ensure you can meet the requirements of your facility more efficiently. You find you’re having to repeatedly repair it. When an air compressor has to work extra hard to meet the growing needs of a business, it can cause a lot of extra wear and tear, reducing the usable lifespan of your system. If you’ve been making more repairs than usual, it may be time to upgrade to a new unit. Your air compressor is a much older model. The fact is that newer air compressors are more efficient than older models. If your compressor were to break down, finding parts for it could be difficult and expensive. By getting a newer model, you can save on energy costs, and at the same time, invest in the future of your business. NB Sales and Service works with a wide variety of manufacturers and can help you find the right air compressor for your business. We service Bakersfield and the Greater Kern County area, and our knowledgeable staff can help you with any of your maintenance or replacement needs. Contact us today. For basic air compressor maintenance tips, visit one of our other recent blogs posts “Three Ways to Help Your Air Compressor Last Longer“.